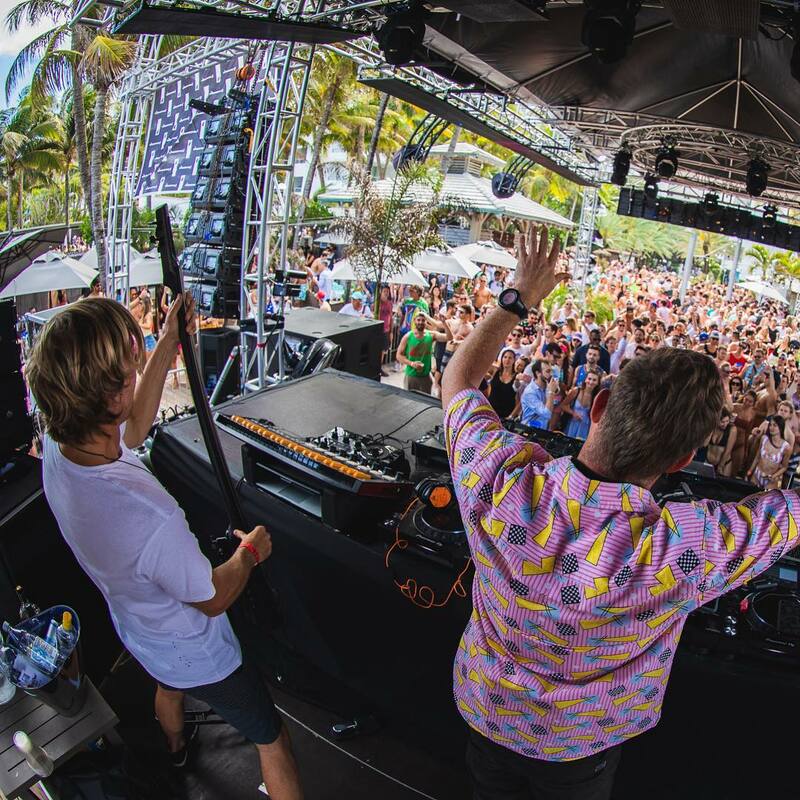 Hosted once again in the beautiful city of Miami, Armada Invites took their international artists over to The National Hotel for a party filled with tunes and fun in the sun. The Dutch dance label known as Armada continued its yearly tradition during Miami Music Week, soundtracking the pool all Saturday long with talented acts both On the rise and tenured. If you couldn’t make it, you missed a good one. On the stacked roster of DJ/producers were artists Rodg, Sevenn, Sultan + Shepard, Zack Martino, ARTY, Goldfish, Morgan Page, and surprise acts Lost Frequencies plus a special closing set by Gareth Emery. The crowd came out early and in full force to line the pool and dance to the eclectic group of producers. The chill ambiance on the beautiful, sunny day could not have been a more perfect setting at The National Hotel this Miami Music Week. Some of our favorite moments were highlights from ARTY, Morgan Page, and Zack Martino each respectively. Arty had sing alongs with his hits “Sunrise” and “Save Me Tonight” echoing all the way to the beach. Morgan Page dropped new music and set the progressive Miami vibe and making waves. Finally Zack Martino stepped up and rocked his nighttime performance with the right amount of big room to keep the party going. Surprise sets from none other than superstar DJ’s Lost Frequencies during the day and Gareth Emery at night made for a sweet change of pace. Adding In both chill beats and more trance tunes, dance fans were treated to all the genres Armada has to offer. As one of the world’s premier electronic dance label’s, Armada was founded by Armin van Buuren, Maykel Piron and David Lewis and has successfully expanded itself through Europe and into the U.S. market. Fans should expect the Armada Invites tradition to not only continue in Miami but successfully dominate more cities in the future. Keep up with everything Armada Music by checking their official website at ArmadaMusic.com and following them on social media at @armadamusic.